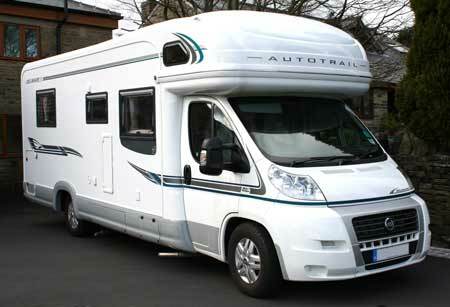 Should your motorhome’s standard fit security be earning you an insurance discount? Higher end security systems such as pro-active, monitored tracking devices and Cat 1 Alarm systems will earn you the biggest discounts when it comes to your motorhome insurance, but did you know that many of the devices fitted as standard will earn you a discount too? Many newer motorhomes come with an immobiliser fitted as standard, but it’s a device that many people forget will earn them an insurance discount. Caravan Guard offers a 15% motorhome insurance discount for customers who have a manufacturer’s immobiliser fitted, and the same discount for retrofitted (Thatcham category 2 approved) devices too. Another product which more and more motorhome converters are including are reversing cameras or reversing sensors. These devices reduce the risk of a motorhomer backing in to a wall, bollard or parked vehicle – and as accidental damage is the leading cause for motorhome insurance claim, they also qualify for a discount. Caravan Guard offers a 2.5% discount for motorhomes with a parking camera or parking sensors fitted, which on a premium of a few hundred pounds can make a worthwhile difference. Of course some high end motorhomes will come with top flight motorhome security devices fitted as standard, and these will earn even higher levels of discounting when taking out an insurance policy. As already mentioned, with Caravan Guard an immobiliser will earn you a 15% insurance discount, then the next level is to have Thatcham category 1 security system (alarm & immobiliser) or Van Bitz Strikeback system which earns you a 20% discount, and then finally a Caravan Guard approved tracking device which will earn the top security system discount of 25%. Remember though that this is a sliding scale, with 25% being the top security system discount available, meaning a motorhome with both an alarm and tracker fitted will still earn 25% – it’s not a case of adding these discounts together. It’s also worth remembering that an insurer may require you to fit extra security on some higher valued motorhomes in order to give an insurance quote, although in this instance you will still generally receive the insurance discounts associated with doing so. I have externally lockable deadlocks fitted to the drivers, passengers and habitation doors. Any discount for these ?